thinking it is nostalgia-free and low in sugar then I am afraid there are no refunds – I can give you store credit or give you a discount on the next piece! It is not all nostalgic, mind: I want to look at an album that turns twenty later this year and still, in 2018, draws sighs of affection among new artists. There is a disclaimer when it comes to explaining Lauryn Hill’s absence and lack of activity in the years following her debut solo album – tax issues and a spell in prison is hardly going on a resume that includes some of the best music of this generation. I remember when the album came out – 25th August, 1998 – and being strange to that world. I was fifteen when the album arrived and newly open to the power and potency of a woman who seemed to lust after change and consciousness. The fate and life of the American black population in the 1990s was, if anything, less fraught and unsure compared to today. The Miseducation of Lauryn Hill is not only about social injustice and the quest for morality. It deals with victory in love and not being trampled on; purity and religion; a better world and the importance of teaching – a veritable life-lesson and seminar from someone who, at the time, was twenty-three. 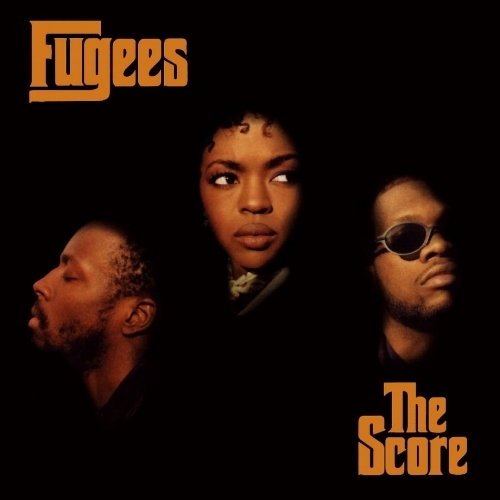 Such a confident and complete album does not usually arrive from someone so young: the fact Hill has recorded two albums with the Fugees (1994’s average introduction, Blunted on Reality, and 1996’s masterpiece, The Score) gave her a good grounding to step out on her own. “Lauryn HIll is celebrating the 20th anniversary of her landmark album The Miseducation of Lauryn Hill with a tour of the UK and Europe. The rapper will begin in Oslo, Norway, on 15 November and take in dates across Belgium, France, the UK and Ireland, Luxembourg, Holland, Denmark and Sweden. "This album chronicled an intimate piece of my young existence," Hill said. "It was the summation of most, if not all, of my most hopeful and positive emotions experienced to that date. I loved and believed deeply in my community's ability to both love and heal itself provided it received the right amount of support and encouragement. "Our world today, both complex and changing, is in need of the balance between moral fortitude and cathartic expression. I hope the love and energy that permeated this work can continue to inspire change with love and optimism at the helm”. Those plans sound great and the interest garnered will ensure some sell-out shows and a triumphant return. I wonder whether that moment back in the limelight will provoke Hill to get back into the studio and record again. There are other impassioned black artists who are talking about their nation and the need for change – Beyoncé, Kendrick Lamar and Childish Gambino among them. We are in a time when the tones and reflection on Lauryn Hill’s debut solo album are still inspiring musicians today. I am interviewing a lot of musicians and, either nostalgically or presently, they are learning and being enriched by the record. It has that glorious sense of the past but is ever-relevant and wonderful. 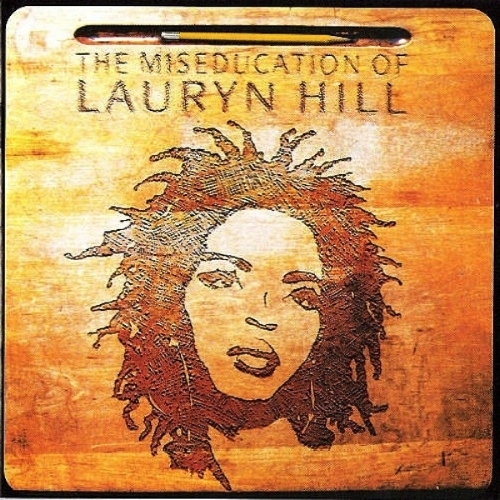 The Miseducation of Lauryn Hill looks at the breakup of the Fugees and Hill’s pregnancy – with Jamaican entrepreneur Rohan Marley – and was recorded, mainly, in Kingston. The album won numerous awards and, as of 2013, it had sold more than nineteen-million copies worldwide. In addition to winning five Grammys; the record numerously appears in the ‘Best Albums of the 1990s’ and is seen by some as one of the finest records ever. Although there was some legal wrangle surrounded creative rights and accreditations of New Ark (Vada Nobles, Rasheem Pugh; Tejumold Newton and Johari Newton) – that was settled in an expensive lawsuit – the album promoted Hill to a new level and meant the world’s eyes were on her. Hill’s incredible delivery skills and her songwriting clarity meant (the album) resonated with critics. Not only is social balance and women’s rights present in the album; faith and the presence of God weave its way through every track. Laying the groundwork for the Neo-Soul genre/rise and putting Hip-Hop into the mainstream; songs like Doo Wop (That Thing), Lost Ones and Everything Is Everything were radio favourites and are played regularly today. Lost Ones is a battle against a cheating man – or possibly someone used to getting their way – as Hill, almost boxer-like, weaves and throws her punches. It is a tough and swaggering song that shows Hill as a passive, if victorious, party; Doo Wop (That Thing) has those blissful horns and sense of bliss- the standout of the record and, perhaps, Hill’s definitive cut. Some truly underrated/reviewed tracks such as When It Hurts So Bad and Every Ghetto, Every City show their brilliance twenty years forward and prove what an intelligent and mature Hill was. Of the fourteen tracks on the album, ten are solely written by Hill – she solely produced twelve of the tracks off the record. It is a command and impressive confidence that meant few other voices tampered and temporised her voice. Setting aside legalities and how many other musicians contributed music/words – Hill’s viewpoint was that contracts were meaningless; it was all about love and collaboration – it is her vibrancy and endless curiosity that makes the record such a milestone. In a year where Madonna’s Ray of Light, Beastie Boys’ Hello Nasty and Massive Attack’s Mezzanine awed critics and enthralled the world; it would have been easy to overlook and relegate an album from Lauryn Hill (Fatboy Slim, Garbage and Elliott Hill released near-career-best records in 1998). 1998, like so many years from the '90s, was a staggering year for albums. You only need do a quick Google search – ‘The best albums of 1998’ – to realise how good we had it. Lauryn Hill’s sole solo album stood aside because of its spirituality and sense of keen observation. It competed with the great albums of that year – I forgot to mention Robbie Williams, Neutral Milk Hotel; Beck, Pulp; Manic Street Preachers… - and inspired new songwriters to go into the business. The Miseducation of Lauryn Hill is personal and seeking but looks outward and embraces the wider world. Larger themes, such as bitter romantic tangles and personal enlightenment, could be easily understood and digested. Hill’s rhythms and raps go from fired and on-top to soulful and tender. Maybe the ‘womanist lens’ of the record, retrospectively, is more empowering and purposeful regards female artists…but that would be limiting and ignorant. The record, then and now, brought everyone in and was about everyone. “Hill began writing a screenplay about the life of Bob Marley, in which she planned to act as his wife Rita. She also began producing a romantic comedy about soul food with a working title of Sauce, and accepted a starring role in the film adaptation of Toni Morrison's novel Beloved; she later dropped out of both projects due to pregnancy. She also reportedly turned down roles in Charlie's Angels (the part that went to Lucy Liu), The Bourne Identity, The Mexican, The Matrix Reloaded and The Matrix Revolutions. During 2000, Hill dropped out of the public eye. The pressures of fame began to overwhelm her. She disliked not being able to go out of her house to do simple errands without having to worry about her physical appearance. She fired her management team and began attending Bible study classes five days a week; she also stopped doing interviews, watching television and listening to music. She started associating with a "spiritual advisor" named Brother Anthony. Some familiar with Hill believe Anthony more resembled a cult leader than a spiritual advisor, and thought his guidance probably inspired much of Hill's more controversial public behavior. 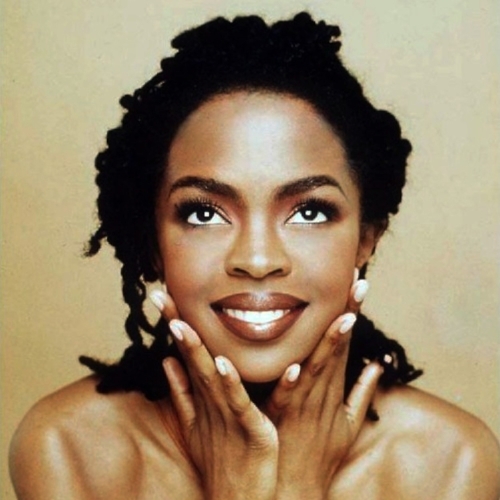 She later described this period of her life to Essence saying "People need to understand that the Lauryn Hill they were exposed to in the beginning was all that was allowed in that arena at that time… I had to step away when I realized that for the sake of the machine, I was being way too compromised. I felt uncomfortable about having to smile in someone's face when I really didn't like them or even know them well enough to like them." She also spoke about her emotional crisis, saying, "For two or three years I was away from all social interaction. It was a very introspective time because I had to confront my fears and master every demonic thought about inferiority, about insecurity or the fear of being black, young and gifted in this western culture." She went on to say that she had to fight to retain her identity, and was forced "to deal with folks who weren't happy about that." In July 2001, while pregnant with her third child, Hill unveiled her new material to a small crowd, for a taping of an MTV Unplugged special. An album of the concert, titled MTV Unplugged No. 2.0, was released in May 2002 and featured only her singing and playing an acoustic guitar. Unlike the near-unanimous praise of Miseducation, 2.0 sharply divided critics. AllMusic gave the album 4 out of 5 stars, saying that the recording "is the unfinished, unflinching presentation of ideas and of a person. It may not be a proper follow-up to her first album, but it is fascinating." Rolling Stone called the album "a public breakdown" and Robert Hilburn of the Los Angeles Times said the album's title opened Hill up for jokes that she had become unhinged. NME wrote that "Unplugged 2.0 is a sparse and often gruelling listen, but there is enough genius shading these rough sketches to suggest that all might not yet be lost." With the mixed reviews and no significant radio airplay, 2.0 debuted at number three on the Billboard 200, but then quickly fell down the chartsand ended up selling less than 500,000 copies in the U.S. Neither the album nor its songs placed in the 2002 Pazz & Jop Critics Poll. Her song "Mystery of Iniquity" was nominated for a Grammy Award for Best Female Rap Solo Performance and used as an interpolation by hip-hop producer/songwriter Kanye West for his single "All Falls Down", as sung by Syleena Johnson”. Between 2004-2009, Hill did sporadic gigs and some brief tours; On 6th May, 2013, Hill was sentenced by Judge Arleo to serve three months in prison for failing to file taxes/tax fraud and three months house arrest afterwards as part of a year of supervised probation. That is a lot of information to take in but, between maternal responsibilities and some brief appearances, there has been not a lot from Lauryn Hill in the past twenty years. There has been the odd collaboration and one-off song – for various causes and charities – and some cancelled gigs…it takes us to now and the anniversary tours. Maybe it will be another one-off and it will not lead to a follow-up: many are hustling for a response to the brilliance of The Miseducation of Lauryn Hill. The times are different in terms of commercial needs and the musicians around: the political and social situation (in the U.S.) has grown worse and desirous of those songwriters who can assess the troubles and what needs to be done. If Hill, back in 1998, was more focused on spiritual alignment and women’s struggles; there was political dissatisfaction and an acute understanding of the role, or lack thereof, the black population played in the world. Maybe the pressure and celebration of her album caused too much expectation and meant a follow-up impossible – how does one follow such a titanic and important record?! SHOOK and changed the world of music!